Each day insects and pests affect the lives of millions of people negatively. They can be as much annoying as they are harmful to your health. If you’re throwing an outdoor party for friends or just simply enjoying the sunset sitting on the porch alone, mosquitoes and pests are the last things you’d want around you. Yes, there are different pesticides and other solutions for getting rid of these sneaky little disturbances. But they all use some sort of chemicals, which is not only bad for your health but also affects the nature significantly. Luckily for you, we’ve put together a review of what we think the best solution for getting rid of these insects is, the Flowtron Electronic Insect Killer. As the name implies, this tool uses the power of electricity to kill insects and does not emit any harmful material to the natural ecosystem. 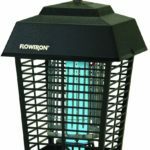 The Flowtron Electronic Insect Killer is based on the traditional lantern design with a 15 watt bulb inside the outer chassis. It features a non-clogging trapping grid, patented specifically for this machine. Because of this grid, the insects fall to the ground to be naturally reabsorbed into the ecosystem. It also saves your machine from getting short circuited. You can also use this as a outdoor lighting alternative. So, the design is really smooth and shines above other insect killers pretty easily. 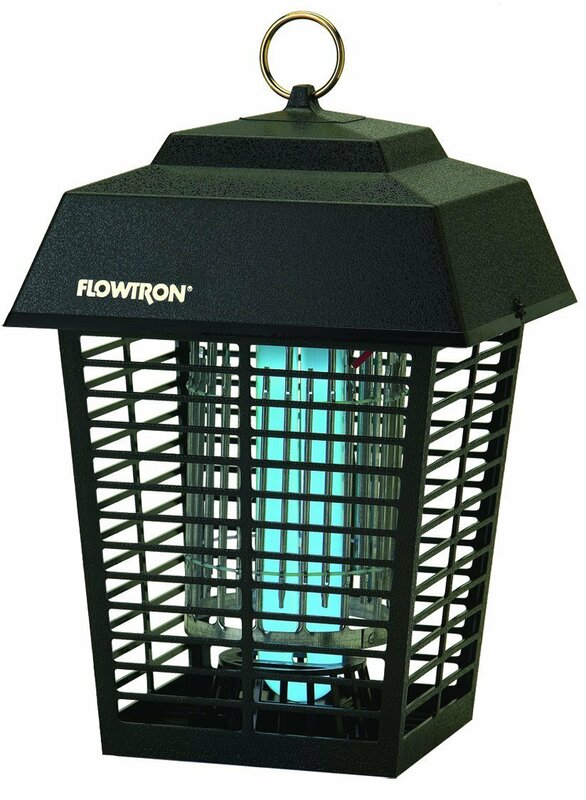 The Flowtron BK-15D works on the power of ultraviolet light that instantly and continuously targets flies, bugs and other pests. It features an advance electronic insect control and an area coverage up to 1/2 acre. This machine is very durable and will not rust, crack, or fade anytime soon. You can also use the optional octenol attractant to increase its effectiveness. The bulb can be easily replaced without any tools. Additionally, this electronic insect killer uses a 15-watt bulb which helps you to save a lot of electricity. This unit has a dimension of 8-1/2 x 8-1/2 x 13-1/2 inches and weighs just around five (5) lbs. Upon opening the box, you will get the already assembled machine. The Flowtron is powered by an electrical source. It comes with a 3 pronged cord but that is roughly 6-8 inches in length only. So, you are gonna need an extension cord to use it outdoor. This unit is not recommended to be used within 25-feet area of human activity. You also should not attach this to your house or other structures. The unit is exclusively for outdoor use and should be kept away from kids and pets. 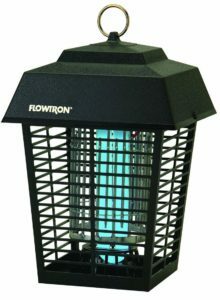 The Flowtron Electronic Insect Killer is the number 1 item at Amazon under the outdoor/patio category. It uses the most cutting edge technologies and is much cleaner and safer than its chemical counterparts. So, overall this unit is definitely a good option in terms of insect killers. You can enjoy your evenings on the patio and barbecues by the porch without ever having to worry about those pesky little bugs again!